My best friend made this delicious simple meal last night. 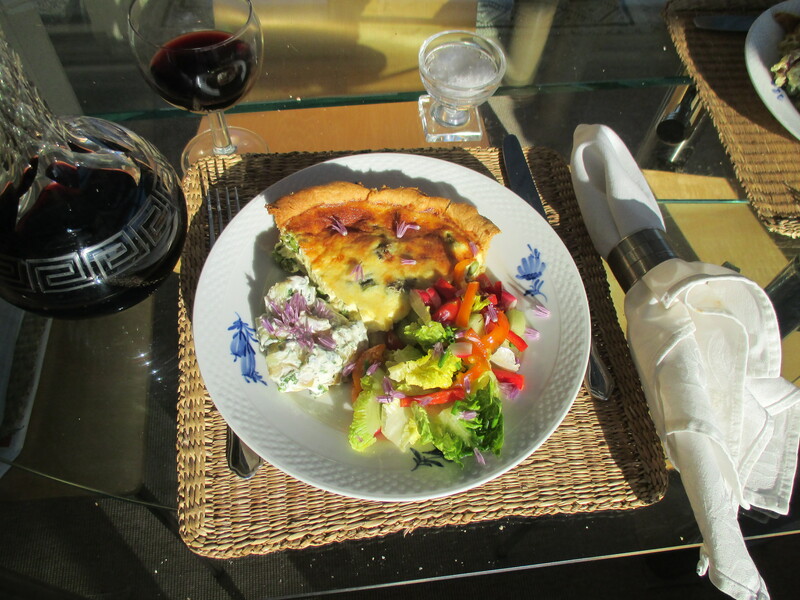 Although it may seem simple the quiche requires some skill. Light crusty pastry filled with soft creamy filling saturated with local seasonal asparagus. served with a mixed salad and new potatoe salad infused with wild garlic leaves picked from the woodland hedgerow just down the road. All scattered with purple florets from chives which is in flower in the garden at the moment. Just delicious, and washed down with a Pinot Noir from New Zealand. Eaten in the evening sunshine.